Hamburgers seduced by the electric Renault Kangoo Z.E. 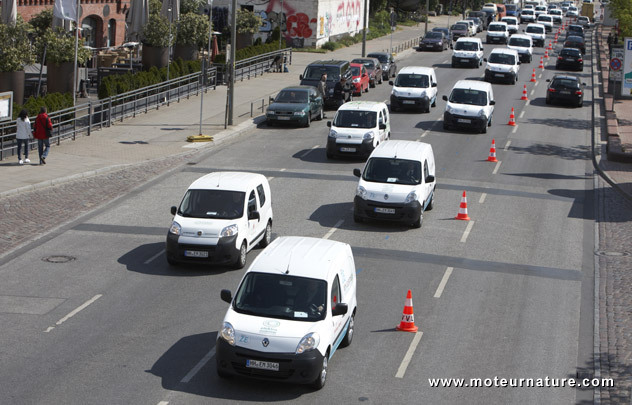 Last May, Renault delivered a fleet of 15 electric Kangoo ZE (Zero Emission) to the German city of Hamburg, which was experimenting with electric mobility. Obviously, many people were impressed, with several companies wanting to join the program, and get an electric Kangoo for their own use. To satisfy this demand, the fleet will gradually be increased to 300 cars by the end of the year. The whole project is under the umbrella of the German ministry of transports, which helped fund it. No doubt that German manufacturers will be jealous.